The holiday season… good food, loving family and warm hearts. Not to mention the excitement of decorating your home! If you’re having family or friends staying with you during the holidays, you want to bring that special feeling of the time of year in their guest space. Adding holiday themed linen towels to your guest’s bathroom is a perfect way to do just that! These Holiday Linen Guest Towels are a classic favorite. 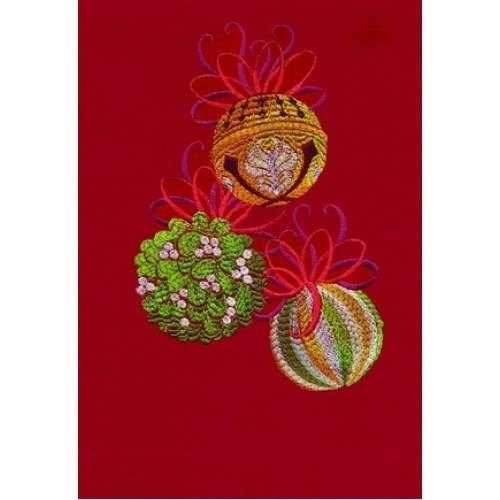 Each design is intricately embroidered, decorating a bath or powder room like a small piece of art. They also make a great gift if you’re the one doing the traveling this season! Each towel is embroidered and finished in Redmond, WA. These lovely towels are packaged in a set of 4. This is a preorder item. Order yours today to guarantee delivery by the holidays!